Kolkata Sep 14 (IANS) West Bengal Chief Minister Mamata Banerjee on Friday congratulated Justice Ranjan Gogoi after he was appointed the next Chief Justice of India (CJI). "May I humbly congratulate Justice Ranjan Gogoi appointed as the 46th Chief Justice of India who will assume office on October 3. 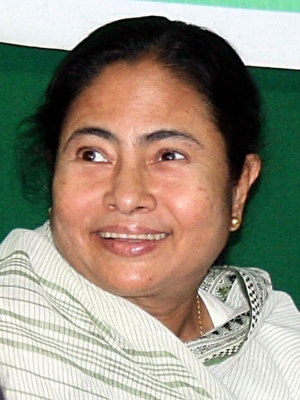 We are very proud of you " Mamata tweeted. Justice Gogoi will be sworn in by the President on October 3 and would preside over Court Number One the Chief Justice s court. Gogoi known for his no-nonsense approach will be the 46th CJI and will have a term of 13 months 15 days. He was appointed as a judge of the Supreme Court on April 23 2012. Along with the three senior-most judges of the apex court -- Justices J. Chelameswar Madan B. Lokur and Kurian Joseph -- Justice Gogoi held an unprecedented press conference in January this year raising among other things questions over assigning cases to different judges by Chief Justice Misra.